Ventura County Medical Center adopts TigerText’s secure messaging platform to deliver more efficient care to patients. SANTA MONICA, CA (September 9, 2014) – TigerText, the leader in secure, real-time messaging for the enterprise, today announced Ventura County Medical Center (VCMC), comprised of a 180-bed acute care hospital, clinic and specialty services, has selected TigerText as its secure messaging provider. 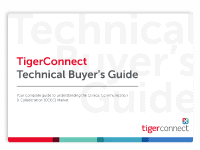 After an extensive review and comparison of other secure texting vendors, VCMC chose TigerText for its reliability, usability, and proven track record of success. VCMC staff will use TigerText to communicate with colleagues in a HIPAA complaint manner, streamline internal communication, improve physician response times, and spend more time with patients. VCMC is a fully-integrated, comprehensive system of hospitals, clinics and specialty services. The company is noted for its renowned Family Medicine Residency Program, and is distinguished as the only Ventura County academic teaching hospital with a residency affiliated with UCLA School of Medicine. Their integrated clinic and specialty services generated in excess of 600,000 visits this past fiscal year. To deliver the best possible care to patients across their entire care system, VCMC needed a safe and secure way for staff to send patient information via text. 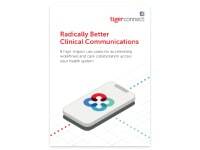 The only guaranteed HIPAA compliant texting solution, TigerText allows organizations to embrace text messaging by simplifying clinicians’ ability to connect with one another. 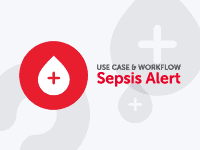 The TigerText app and platform provides an efficient and secure tool for sending and receiving PHI as well as other sensitive information necessary for making critical care decisions. Features include message ‘delivered’ and ‘read’ receipts, set message lifespans, message recall, group messaging, and more. Organizations using TigerText have seen decreases in patient wait times, higher HCAHPS scores, and improved workflows. TigerText is the leader in secure, real-time messaging for the enterprise. TigerText’s encrypted messaging platform keeps communications safe, improves workflow and complies with industry regulations. Developed to address the security needs, BYOD policies, and message restrictions in the enterprise, TigerText is committed to keeping mobile communications secure, private and impermanent. 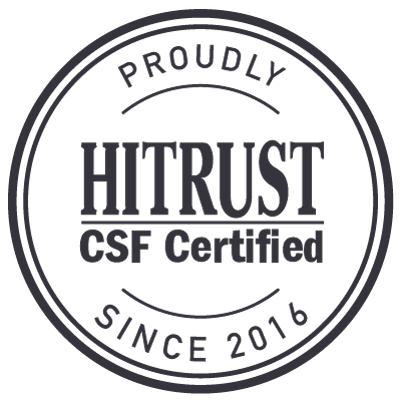 More than 5,000 facilities have adopted TigerText, including leading organizations like Adventist Health, Universal Health Services, and the University of Kentucky HealthCare, which rely on TigerText to combat challenges, such as the HIPAA Omnibus Rule changes, comply with industry standards, and replace unsecured SMS text messaging that leaves protected health and other confidential information at risk. For more information visit www.linkedin.com/company/tigertext, www.facebook.com/tigertext, or www.twitter.com/tigertext. Ventura County Medical Center (VCMC) is a fully-integrated, comprehensive system of hospital, clinic and specialty services. The system provides access to high quality, compassionate health care to residents throughout Ventura County. While VCMC provides access to health care to all residents of our county, special emphasis is placed on providing access to care for the underserved and those facing barriers to access. Referred to as the “safety net” population, these individuals comprise over three quarters of the care provided by VCMC. VCMC is noted for its renowned Family Medicine Residency Program, and is distinguished as the only Ventura County academic teaching hospital with a residency affiliated with UCLA School of Medicine.